The night was perfect: it was a clear, crisp and “stellar” evening in St. John’s! The atmosphere was perfectly still and just right for star-gazing. The CBC weatherman told viewers that it was a perfect night to see the stars and dotted his weather map with them. 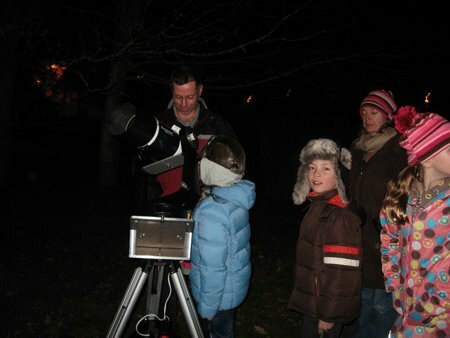 Members of the St. John’s Centre Royal Astronomical Society set up their telescopes and high-powered binoculars to view the moon and stars and other treasures of our expansive universe. Adults and children gathered in the garden of the Mercy Centre for Ecology and Justice on Mount Scio Road at 6:00 p.m., waiting patiently as the scientists set up their delicate, yet powerful instruments. Craters and mountains on the moon were quite visible – yet, no one saw the man-in-the moon! Other planets and constellations of stars could easily be seen. Even the space station came into view. 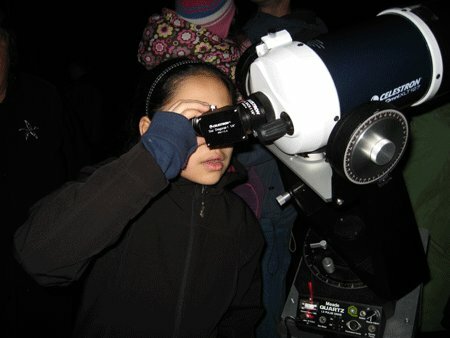 Stargazers appreciated the effort of the Astronomical Society to provide this special opportunity. Deep appreciation to Sister Mary Tee, Coordinator of the Mercy Centre for Ecology and Justice, and her committee for making this possible. 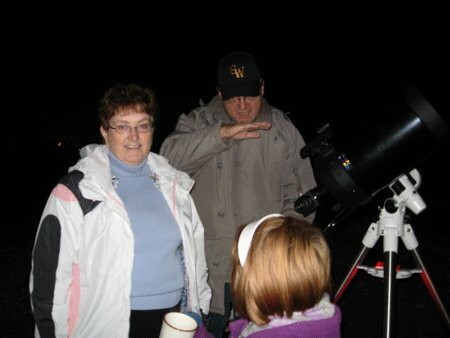 We hope to have another opportunity to look to the stars.